View Iceland Visa Application Centre, Yekaterinburg, Russia phone number, email, address, working hours, website. 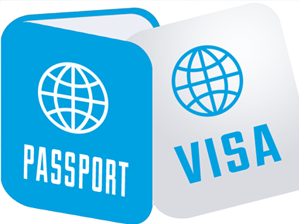 View Iceland Visa Application Centre, Novosibirsk, Russia phone number, email, address, working hours, website. View Iceland Visa Application Centre, Vladivostok, Russia phone number, email, address, working hours, website. View Iceland Visa Application Centre, Brisbane, Australia phone number, email, address, working hours, website. View Iceland Visa Application Centre, Canberra, Australia phone number, email, address, working hours, website. View Iceland Visa Application Centre, Melbourne, Australia phone number, email, address, working hours, website. View Iceland Visa Application Centre, Perth, Australia phone number, email, address, working hours, website. View Iceland Visa Application Centre, Sydney, Australia phone number, email, address, working hours, website. View Iceland Visa Application Centre, Beijing, China phone number, email, address, working hours, website. View Iceland Visa Application Centre, Moscow, Russia phone number, email, address, working hours, website.